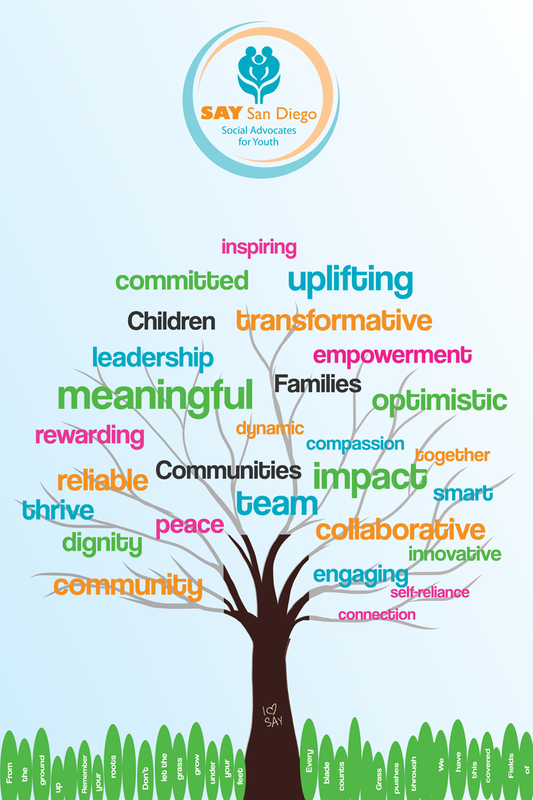 SAY San Diego’s mission is to partner with youth, adults, families, and communities to reach their full potential. Our vision is opportunity, equity and well-being for all San Diegans. SAY San Diego partnerships and services address the comprehensive needs of the entire individual or family rather than focusing on one symptom or problem. SAY engages the community to work collaboratively and works with systems such as law enforcement, schools, and local government to create positive change. 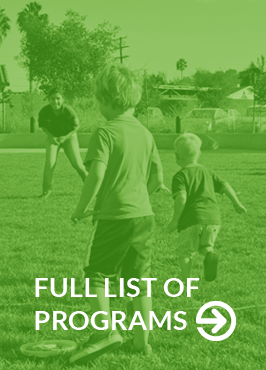 SAY San Diego’s holistic approach enriches youth, empowers individuals and families, and engages communities. Click to get information about how our programs can help you. SAY San Diego has been making a difference for children, families and communities for 45 years. 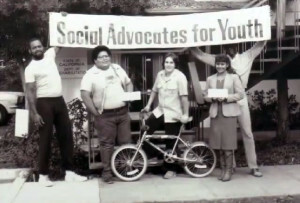 SAY first opened its doors in 1971 with one paid employee, a budget of $1,500, and the goal of providing prevention services to struggling youth. 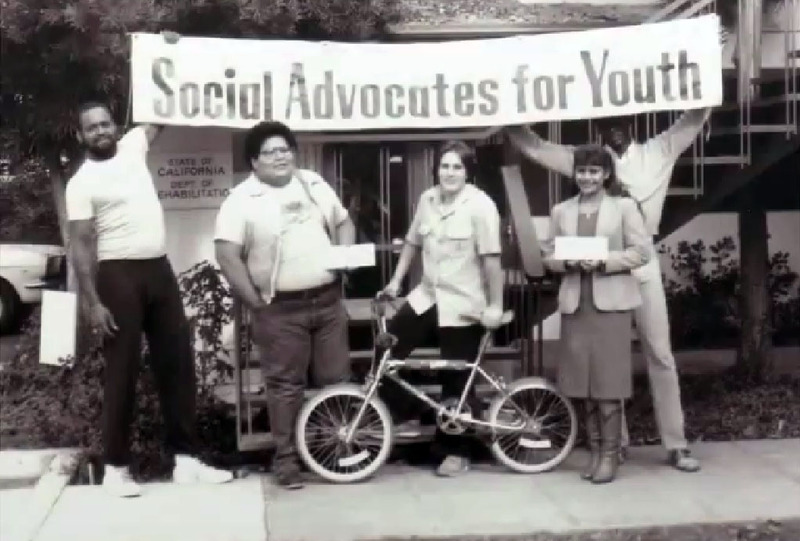 Since then SAY San Diego has evolved from a single focused organization to what we are today: an agency whose work encompasses more than 30 programs strengthening the whole child, whole family, and whole community.